One of the basic concerns that plague every resident living in a care home facility will be concerning the quality of services provided to them. The blaring headlines talking of malnourished or neglected residents in residential care homes is enough to scare people away, especially those who are looking to move into one. Hence, it is very important that you know what kind of care you should be getting when you are living in a residential home care facility. 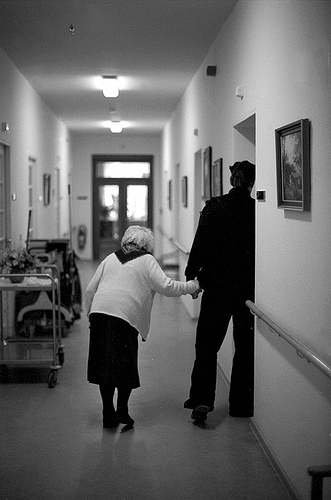 It is the duty of the residential home to offer you the best care within their means. As a facility for looking after people who are not able to look after their affairs on their own, they play an important role as a social and healthcare service provided. To make sure care centres maintain the standards and quality inspections are held on a regular basis. But you can rest assured that unannounced inspections by Care Quality Commission, an organisation that regulates health and adult social care in England looks after the needs of aged adults. Inspections can either be announced or unannounced. This is to check whether each of them meets the normal standards in quality and safety. Those that don’t, will have to face repercussions while those that do can go ahead with the same level of care they attribute to the seniors. The commission also encourages health care centres to focus on the dignity of the residents living in the home care facilities and encourage improvements in areas where it seems to be lacking. Though the commission calls in for unannounced inspections, the process itself is perfectly structured and organised. They check each aspect of care provided to the residents and talk to the residents themselves and their visitors. The whole process is very effective and transparent that when the commission awards a care home with very good rating, you do not have to be worried about anything at all. You can visit their website (CQC) and look at the list of care homes that are certified and okayed. This is all regarding those residents who can communicate their needs, desires and complaints. To those people who cannot do any of those, the commission undergoes a Short Observational Framework For Inspection (SOFI) test. Through this method, they can gauge the care levels of given to infirm, senile, dementia and Alzheimer affected patients. If any of these standards are not met by the said residential home care facility, they are in for a bad turn. Most of the time, Care Quality Commission conducts their inspections unannounced. These unannounced inspections are conducted once a year. During the inspections, the inspectors talk to the residents, their family and the carers. This is the only way to determine whether the standards of quality are met by residential homes. It is the legal responsibility of the care homes to conform to the care and quality standards expected from them. Details of these standards are defined in the Health and Social Care Act 2008 (Regulated Activities) Regulations 2010 and the Care Quality Commission (Registration) Regulations 2009. Once the residential homes inspections are done, Care Quality Commission will submit the report and their verdict. If there is room for improvement, then there is no leniency. The standards have to be met.